As of September 2018, United Focus has ceased to operate as a digital advisory company. 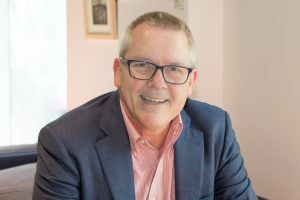 Steven Smith, the founder and sole advisor, is now in a full-time position as Director of Admission at a leading independent school in Adelaide, South Australia. Steven founded United Focus Pty Ltd in 1995 at the very start of the Web to help people and organisations understand the Web and how to do business online. In 2011, after 15 years of working with numerous businesses, government agencies and not-for-profit organisations across Australia, he was approached by KPMG Australia to come on board and be a digital advisor to their clients. From 2011-2016, as a Director in digital consulting for KPMG Australia, he worked with a range clients at all levels of government, the financial sector, utilities and in private enterprise. The consulting was chiefly around digital strategy, risk management in the use of social media and raising awareness and understanding of digital disruption and what to do about it. He is now back at United Focus just as the digital world is getting more complex and crowded and organisations are keener than ever to make sense of it all. Steven is also the Chair of the Australian Information Industry Association (AIIA) State Council in South Australia. As part of this role he sits on the ICT and Digital Governance Board of the South Australian Government. What a fabulous era to live and work in: unprecedented opportunities for everyone to connect, communicate, participate, influence, understand and simply to have fun. Sir Tim Berners-Lee, inventor of the Web, take a bow. The trick to thriving in the Digital Age is to understand the opportunities, get to know what you don't know, manage it all and to imagine what you should be doing differently. Although Nicholas Negroponte, Director of MIT, said this in Being Digital (1995), it remains true today. "It's not fiber-optic to the home we're waiting for, it's imagination." Over the past 20 years United Focus has provided advice to numerous organisations about digital matters: from family-owned wineries to professional firms; from the National Gallery of Australia to Elders Limited; from tourism operators in Darwin to fisheries in Tasmania; from the World Health Organization to the Victorian Government. In that time I have delivered over 300 workshops on Web usability, writing for the Web, e-commerce and how to market products and services online. Adviser – I have a deep understanding of the Web and the way in which organisations use and manage it. My teaching background has given me an understanding of the way people interact with technology, while my 20+ years as a digital advisor have armed me with vast experience and lessons learnt advising organisations about their use of the Web and social media as a business tool. Presenter – I have considerable experience as a conference and workshop presenter - most recently in Canberra to Australian Government agencies. I have presented to audiences of business owners and their staff and to public servants throughout Australia and internationally, in Canada, the USA and Fiji. The audiences are wide and varied, including: the arts, building, hospitality, retail, food, accounting, law, public service, tourism and education. For more, see my LinkedIn profile - LinkedIn or download Steven Smith of United Focus - CV. We collaborate with a range of like-minded professionals as required to provide comprehensive advice to our clients. We work with co-located colleagues at Intersect in the Adelaide CBD and with a range of our fellow members of the Australian Information Industry Association – Steven is the Chair of the South Australian Council of this peak body for the information industry in Australia. We also draw on fellow members of the Australian Institute of Company Directors , of which Steven is a Member and graduate of the Company Directors' Course, when clients need specialist advice and expertise. We work closely, but not exclusively, with specialists like Revenue by Design for their strategic marketing and sales expertise, with Cinch Digital for digital marketing and social media; and SRA Information Technology when clients need a bespoke digital business solution.